There are many remodeling companies in and around Plano, Texas, and the Greater Dallas area but few compare to the dedicated professionals at Quint-Pro Siding & Windows. We set ourselves apart by providing highly individualized service, ensuring each customer we work with receives an incredible value for their remodeling investment. 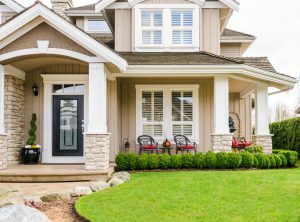 At Quint-Pro Siding & Windows, we are proud to offer premium products, including top-of-the-line windows and siding that are beautiful, durable, and highly energy efficient. However, what really differentiates us from other remodeling companies is the emphasis we put on customer service. Unlike many other home improvement companies, we don’t use sales gimmicks or high-pressure tactics. Rather, we take a consultative approach, taking the time to educate our customers about their options and answering all of their questions, so that they can make the best possible choices for their homes. Additionally, we emphasize transparency and clear communication and will ensure you stay up to date with the status of your renovation. Furthermore, you can feel confident that only highly experienced professionals who are dedicated to quality craftsmanship and customer satisfaction will handle your renovation for you. Everything about our remodeling process, from the initial consultants to the lifetime warranties we provide on all products we install, is designed to benefit our customers. This is one of the reasons we have earned the trust of so many clients and the HomeAdvisor Seal of Approval. If you’d like to learn more about what makes us one of the most trusted remodeling companies in Plano, TX, and the Greater Dallas area, contact Quint-Pro Siding & Windows today. We’ll be delighted to discuss our services, schedule a consultation, and explain the easy financing options we have available for qualified homeowners.